This week Montreal is again the gymnastics capital of the world, hosting the 47th Artistic Gymnastics World Championships in its iconic Olympic Stadium. Built for the 1976 Summer Games, the Olympic Stadium is a special landmark, not just for Montreal, but for the history of sports and timekeeping, especially when it comes to gymnastics. It was during the Montreal Olympics that a slender 14-year old girl from Romania, Nadia Comaneci received the first perfect ten in gymnastics for her routine on the uneven bars. The Swiss Timing scoreboard was designed with a single digit and two decimals, thus her result was displayed as 1.00 and following a few moments of confusion, the judges confirmed that her score is indeed 10.00. The crowd exploded in a standing ovation. Nadia continued the Games scoring six other perfect tens, winning three gold, a silver and a bronze medal, making her the queen of the Montreal games. Nadia is now back to Montreal, back to the Stadium, as the official spokesperson of the Championship. She was also part of the jury for the Longines Prize for Elegance, together with Morinari Watanabe, FIG President, Ian Charbonneau, Longines Brand Manager Canada. This is a prize created by Longines to reward elegance in the performance of a gymnast. 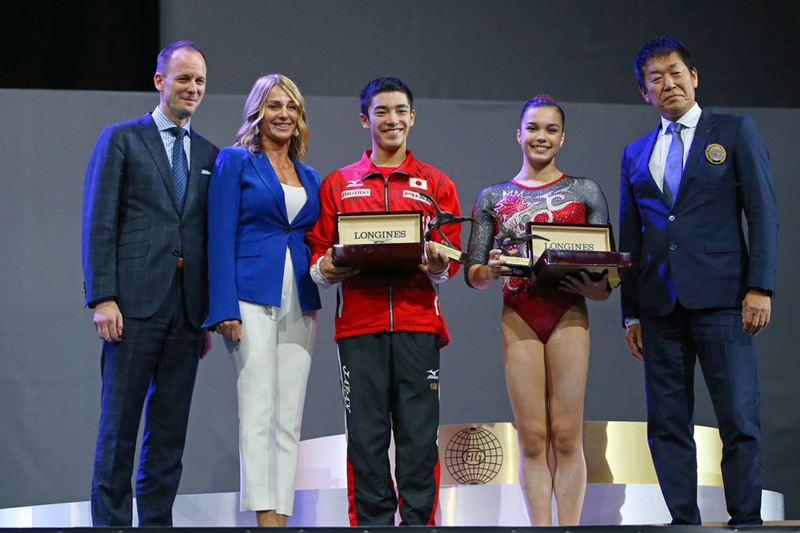 The two winners were Brooklyn Moore from Cambridge, Ontario and the Japanese Kenzo Shirai, who both impressed the jury and the crowd with their precise technique combined with emotion, force and elegance. I was part of a group of friends of the brand — the local RedBar group, authorized dealers, journalists and bloggers — to follow the competition from the Longines suite, situated on the third floor of the Stadium. As I was driving up to the Stadium, I could see more and more people, especially groups of young girls getting off from school buses, heading to the main entrance, some of them throwing cartwheels. There was a very special energy in the air and it was contagious. I knew Nadia is in the building, and while secretly I was hoping to meet her, it felt like a crazy dream. As a child of the “Golden Epoch” of the Communist Romania, I was growing up in a society that was on a constant overdose of propaganda focused on our “dear leader”. Compared to the West our star system was rather emaciated, the dictator did not want to have others stealing the limelight. The only exceptions, tolerated to a certain extent, were our athletes. To us, everyday people, they were bringing light and hope, they were making us feel better in our misery. Nadia was by far the most iconic figure, her pictures were in every arena, at the entrance of school gyms, in youth magazines, calendars. My teachers were giving her as an example to follow, a proof that perfection can be achieved through hard work. I was sitting with my wife, following the men’s all-around final when we were told that we could meet Nadia, she is right next-door in the VIP lounge. 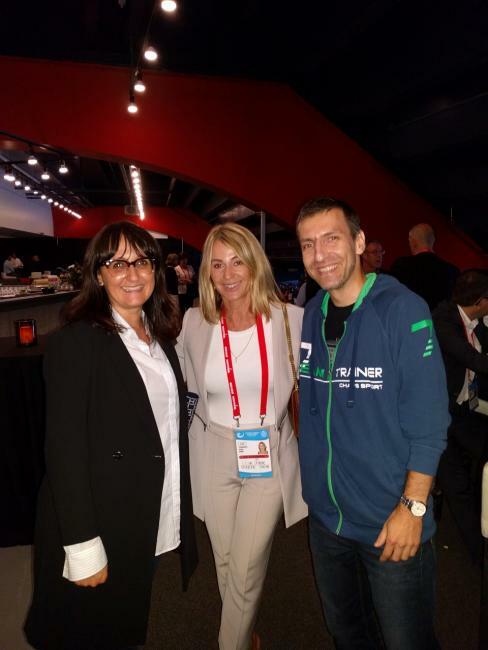 Meeting Nadia Comaneci in person at the Montreal Olympic Stadium!? I felt my heart will pop out from my chest. While witnessing the men and then, the next day the ladies compete, I was thinking about how gymnastics fits into the Longines universe. What does it take to be a world-calibre gymnast? I tried to imagine the long years of preparation, the sweat, the accidents, the pain and the determination of these athletes to continue and improve every day. They do these superhuman exercises in front of tens of thousands of people, judges, live TV cameras with elegance and grace. And they make it look so easy and natural, the only thing betraying their effort is the focus in their eyes. 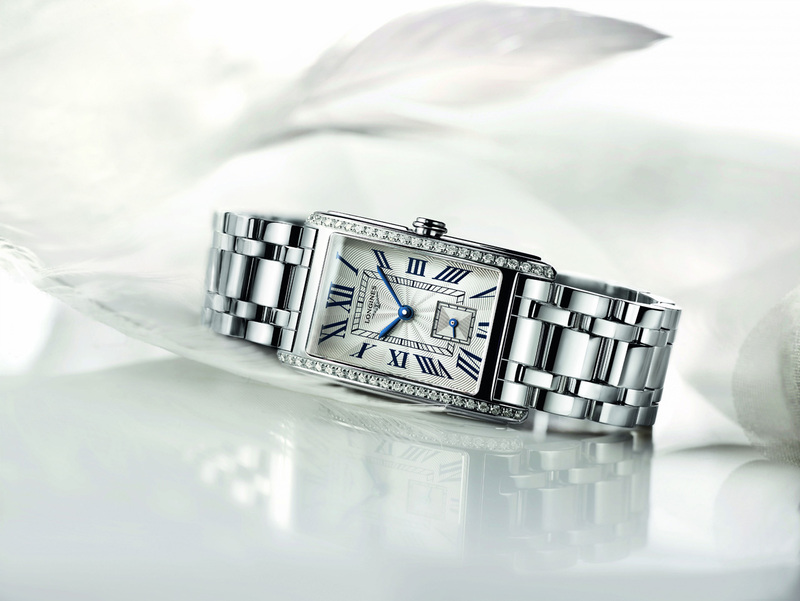 Gymnastics is all about precise power and elegance, just like the Longines collection. They have the elegant Dolce Vita, that is also the official watch of this championship, or the super-precise Conquest V.H.P. chronograph (± 5 s/yr), and the list can go on. Having a Longines on your wrist is about appreciating a classic, timeless style, an effortless elegance, combined with technical precision. 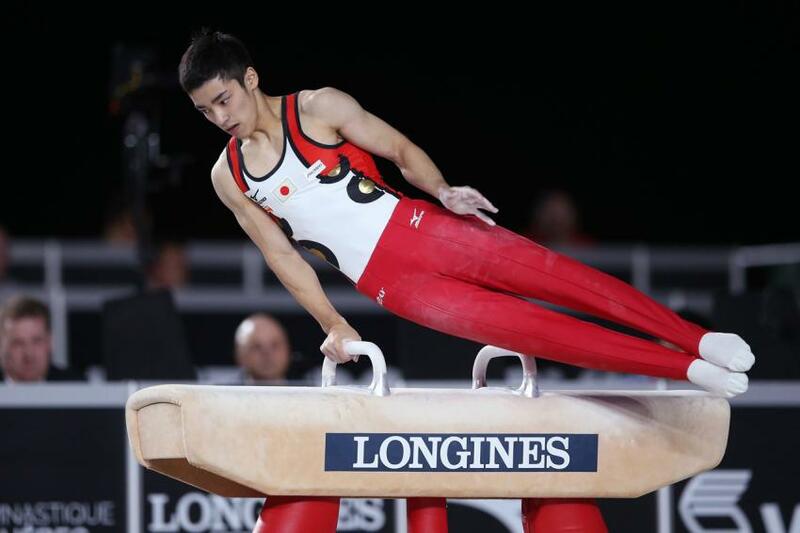 Since Longines is the official partner of the International Federation of Gymnastics (FIG — abbreviated in French), I would love to see a pair of special edition Longines dedicated to gymnastics. Who knows, maybe someone in Saint-Imier is already working on it. For more about the FIG Championship, go to https://mtl2017gymcan.com/en/home/.